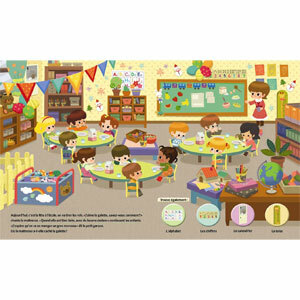 A bright and colourful board book with busy scenes to search through. 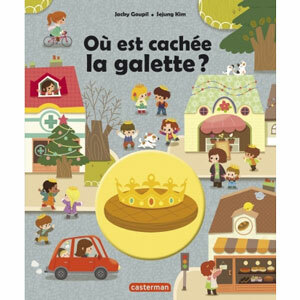 On each page, children will enjoy looking for la galette. Each double-page also invites the reader to find a number of other objects pertinent to that scene: animals, objects, food and clothes etc. Où est cachée la galette? is written entirely in French with no English translation or pronunciation guide as it is intended for native users. The language is fairly simple as it is aimed at young children.